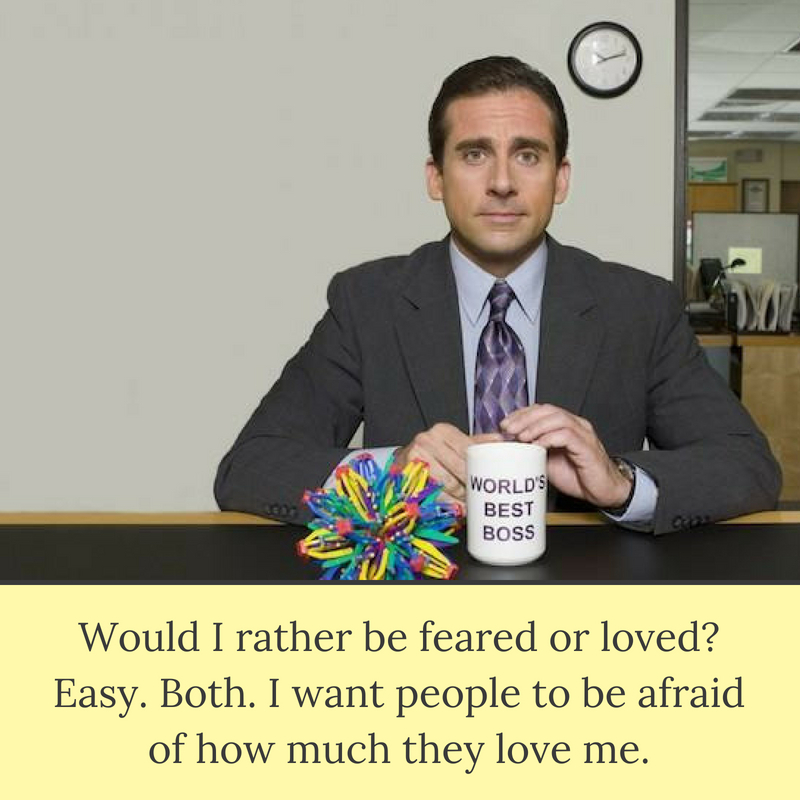 Who doesn’t know Michael Scott from the American TV show “The Office?” The show might be over but the words Michael Scott delivered still inspires and makes people all over the world laugh hard. If you are a fan of the show and you want your friends and family to experience the fun and laughter Michael Scott gave you, the best way to do so is by showing them these funny yet inspirational quotes from The Office. Also, these quotes will make you reminisce about the best part of the series to the point that you will want to watch it again. If I had a gun with two bullets and I was in a room with Hilter, Bin Laden and Toby, I would shoot Toby twice. You wanna hear a lie? I… think you’re great. You’re my best friend. I feel like all my kids grew up and then they married each other. It’s every parents dream. St. Patrick’s Day is the closest thing Irish have to Christmas. I am running away from my responsibilities. And it feels good. I hate so much about the things that you chose to be. Do you miss the hit TV show “The Office?” These Michael Scott quotes will help you forget about the stressful things around you and make laugh so hard. If you know someone who likes The Office so much, you can share these top 10 Michael Scott quotes to them and remember the good times when the show is still on.